RESACON is the industry's largest convention and trade show, representing every designation in the industry. RESACON is the industry's convention resource for business development, awesome speakers and education! Bio: After spending over a decade in the corporate industry, Amy was ready for something creative and innovative. Her background in interior design, marketing, and merchandising encouraged her to develop her own business, specializing in Home Staging. Amy has served Austin as a Professional Real Estate Stager since 2009, and established Impact Interiors in 2010 to serve the greater Austin Real Estate Community. That same year Amy earned her Home Staging Expert (HSE) designation and is currently a Real Estate Staging Association (RESA) Pro Stager and Home Staging Resource (HSR) Mentor. She has served in RESA Leadership since 2011, and is currently serving as the 2016 State President of Texas. Amy’s passion for real estate and home staging was key influence, for earning her license as a Texas Real Estate Commission (TREC) Instructor. Her workshop courses are designed to help realtors and home sellers understand the value and importance of home staging. Amy’s imagination and leadership has helped to cultivate how she educates her clients, realtors and fellow home stagers on the importance of home staging. 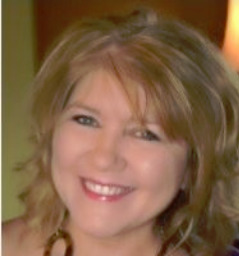 Bio: Audra Slinkey is President and Founder of the Certified Color Expert Training, Color Perfect Home Blog and the Home Staging Resource (http://www.homestagingresource.com), an advanced home staging and redesign training company. Audra is a huge advocate for all stagers and redesigners regardless of training background, so please come introduce yourself at the conference! In 2015 and in 2013, Audra won the RESA Staging Innovator of the Year Award and has been privileged to teach and speak at almost every RESA Conference since its inception. In 2015, Audra founded the Certified Color Expert training program as an avenue for stagers who specialize in a consultation based business model to expand their business. Audra has served as Vice President for two years for the Real Estate Staging Association (RESA) and was also nominated for Staging Innovator of the Year in 2009. She has also served as President of the American Society of Home Stagers and Redesigners (ASHSR) since 2007. Prior to establishing HSR, Audra was a recognized leader, international speaker, corporate Fortune 500 trainer and published author on Internet research, sourcing and marketing. She was co-owner of a successful Internet research and recruitment firm since 1998 before she sold the business and turned to home staging, discovering a specific need in the training arena in 2005. 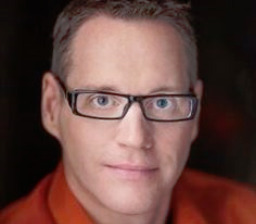 Bio: David Peterson is the co-owner of Synergy Staging, an award winning boutique staging company in Portland, Oregon. 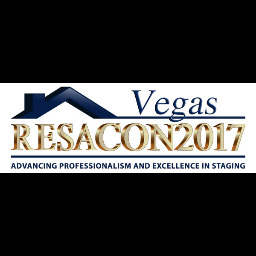 Founded in 2007 with his partner Nik Murrow, Synergy Staging was named the Top Staging Team in North America at the 2014 RESA Convention. As one of the premier staging companies in the Northwest, they specialize in vacant home staging and have merchandized hundreds of properties with their unique design aesthetic working with Realtors, investors, builders, and homeowners. In addition, David is the President of the Portland RESA Chapter and the Regional Vice President of Region 9. He was named the RVP of the year at the 2016 RESA Convention. He graduated from Loyola Marymount University and lived in Los Angeles for 26 years working in both the real estate and entertainment industry before moving to Portland. Outside of the staging industry, David is also the owner of Synergy Management Group, a business management company. President / Founder, Gryphon Valuation Consultants, Inc.
Bio: Mr. Parker founded Gryphon Valuation Consultants in 2003 after a 20+ year career in the investment management industry as a securities analyst, portfolio manager and global equity strategist. Like many top experts in the field of business valuation, he has earned the right to use the coveted Chartered Financial Analyst® or CFA® designation, sponsored by the CFA Institute. He also holds the Certified Valuation Analyst (CVA) designation, sponsored by the National Association of Certified Valuators and Analysts (NACVA). Mr. Parker has performed literally hundreds of valuation assignments involving various types of companies covering a broad spectrum of industries including professional services, healthcare, manufacturing, real estate, retail, wholesale, food & beverage, construction, gaming and technology, among others. Mr. Parker also serves as a court-qualified expert witness having provided legal testimony in cases of marital dissolution and commercial litigation, including estate and business transactions, partnership & shareholder disputes, economic loss, securities and corporate restructuring. He is a past president of the CFA Society of Nevada and the Financial Planning Association of Nevada. He is a Rotary Paul Harris Fellow and past president of the Las Vegas Summerlin (Nevada) Rotary Club. Gryphon Valuation Consultants is an independent member of the American Business Appraisers National Network of highly experienced business appraisal firms. Bio: His training and coaching sessions for interior designers, real estate stagers, window fashion professionals, kitchen and bath specialists, and other design professionals from Dallas to Dubai focus on how they can double their sales, connect with better clients, and make a maximum marketing impact for a minimal investment of time and money. 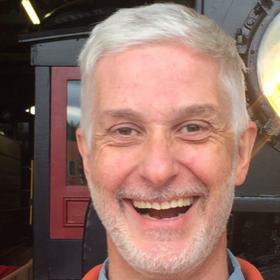 Fred, who speaks at design industry events around the world, also creates marketing materials, and social media and website copy for designers and stagers. Those materials include everything from promotional bios to articles for use online and in print. Fred presents sales and marketing programs at design centers, marts and conferences worldwide. He was an emcee and presenter at the International Federation of Interior Architects and Designers(IFI) in Dubai, U.A.E. In addition, he has been a featured speaker at the International Window Coverings Expo; Neocon events; the High Point Market; Surfaces; design symposiums; home and design expos; furniture, gift and accessory shows; and national conferences of such groups as ASID, NKBA, IFDA and Decorating Den. Fred’s blog, InteriorDesignBusiness.netreach thousands of design professionals around the world. He also regularly writes for a variety of design trade publications and online outlets. His Interior Design Business Library includes a vast collection of books, video and audio programs and other business-building resources for the design industry. His resources cover topics ranging from setting and getting higher fees and overcoming price objections to branding and million dollar marketing on a shoestring budget. Bio: JoAnne Lenart-Weary has been creating beautiful home for selling and staying since 1975. These years of experience led to requests from others who wanted to start their own decorating and staging business. The result was The Decorating & Staging Academy founded in 1999. Beginning with the longest running redesign curriculum, JoAnne has also developed the Confident Consultation System, the Confident Color System, and a variety of support forms and systems. In addition, she is a Certified Guerilla Marketing Coach, Master Professional Trainer for The-DSA, industry speaker and blessed with an ongoing desire to help others succeed. Bio: Lisa McIntee, owner of The Staging Professionals is an innovative entrepreneur and Home Staging Business Consultant who is constantly seeking out new ways to expand her business and grow the Home Staging industry. Lisa is a multi award-winning home stager based in Niagara Falls, ON who has become an expert in developing “outside of the box” ideas and strategies that increase her business and those of her colleagues. 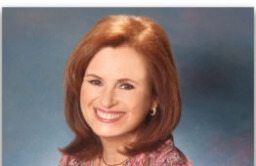 Bio: Margaret Gehr has been focused on the design and merchandising of resale properties since 2005 when she founded Chicagoland Home Staging. Having studied at the Harrington Institute of Interior Design in Chicago, she brings her unique skills and creativity to every project no matter the size. In addition to staging homes, Margaret experience includesproject management, custom window treatments and re-design projects. Margaret is a visionary and advocates continuing education, leading her team by staying current and on trend within her industry. She is the founding Real Estate Staging Association (RESA) Greater Chicago Chapter President and member of MainStreet Organization of Realtors. Margaret and the team’s award winning work have been recognized in the Wall Street Journal, ABC News, Chicago Magazine, Chicago Tribune, and publications nationwide. Bio: My name is Mike Stephens and I have been a part of ADP’s Payroll & HR Services for over 5 Years. Throughout my years my goal and values have been to develop business relationships in order to keep them in compliance with Federal, State, and The Department of Labor Laws. A little bit about me, I currently live in Huntington Beach, CA with my wife Marisol. I attended Ohio State University where I played baseball and received my Bachelor Degree in Communications! Go Bucks! My passion is continuing to lead and train a Team of Associates in our Orange County Regional office to on board, retain, and keep in compliance all of our Small Business owners within our division! Bio: My name is Michelle Minch and I am the owner of Moving Mountains Design, a Los Angeles home staging and interior design company based in Pasadena, CA. I began my career in design as a Stylist and Visual Merchandiser for Commercials, Music Videos, Television and Feature Films. Home Staging and Interior Design are a natural progression for me, allowing me to use my visual merchandising skills and years of design, marketing and management experience to create appealing and comfortable one-of-a-kind interiors that help sell homes. RESA Professional Stager of the Year 2010 & 2015. Bio: Dr Naomi Findlay PhD is a nationally renowned expert on making money from property, Naomi helps you leverage your property when selling, renting or holding it. Naomi Findlay is the CEO of Silk Home and the Principal and Founder of the International Institute of Home Staging, author of the best-selling book Ignite Your Property Mojo . She is a regular contributor to realestate.com.au and featured in Home Beautiful, Smart Property Investment, Australian Property Investor Magazine to name a few. Naomi has received many teaching excellence awards, and has been nominated for a national award with the Australian Teaching and Learning Council. Bio: Sandra’s training and appreciation for interior decorating began early in her life. Her passion for decorating combined with lessons learned from many corporate moves provided Sandra with a strong foundation to launch her dream, founding Signature Redesign, L.L.C. an offering Interior Decorating, Home Staging, Color Consultations and event planning. Sandra’s built a successful career assisting residential, small business and corporate clients but she is inspired to help others become redesigners and stagers. 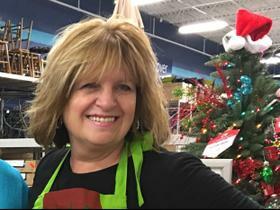 Valuing education, Sandra is a Master Professional Trainer with the Decorating and Staging Academy as well as the Executive Director. Sandra has won national awards in the categories of Interior Redesign, Interior Decorating and Real Estate Staging. She has been featured in numerous magazines, local newspaper articles and has trained and lectured to thousands of decorating and event professionals. Sandra is a firm believer in giving back to the community and one way she does this is by coordinating projects for Habitat for Humanity, the Cancer Society, The Cystic Fibrosis Foundation, Autism Speaks and serves on several boards. Sandra holds a B.S. in Marketing from Florida State University and a M.B.A. from Troy University. She has held multiple positions in marketing and advertising and taught college level business classes. Bio: Bobbie McGrath found her calling when she opened Successful Staging in 2004. With a focus on practical and effective Staging techniques, as well as approaching each project with a positive and empowering message, Bobbie has seen sustained growth in her business over the last 12 years. To date, she has Staged and/or consulted on well over 5,000 homes. In 2015 & 2016 Bobbie was named one of RESA’s Top Ten Occupied Stagers in the United States. She was also recognized as Best of HOUZZ for both Design and Customer Service in 2015 and 2016. In addition to running her Staging company, Bobbie has created a CE course for Realtors in North Carolina as well as a new series of classes for Realtors “down under” in Australia. Educating Realtors on how to incorporate Staging into their business plan has become a focus of her teaching endeavors and the results have been fantastic! Bobbie is known for her passionate discussion of anything Staging (and the Denver Broncos!) and is continuously looking for new ideas to improve the Staging process. From neuro-marketing research to the “taste” of color Bobbie seeks cutting edge techniques to get the Staging message across to homeowners and Realtors alike! 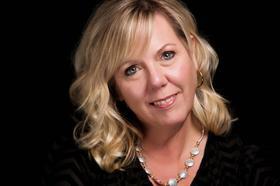 Bio: Melissa Marro has been a professional home stager for the last 10 years and has helped many stagers grow their businesses either through her certification classes with SAR, blogs, or seminars and workshops internationally. She has grown not one, but two successful staging companies. Her most recent company, Rave ReViews, onlyl 3 ½ years old, routinely has over 50 vacant homes staged at a time and is on target to have gross sales in excess of $1 million in 2016. Her biggest strengths are being able to see “the big picture”, marketing, and education. Bio: Sabrina Soto is one of the world’s most sought after lifestyle experts. From home décor and design, food, beauty and fashion, Soto covers it all. Her unique ability to curate in a variety of spaces, providing outlets for people with varying budgets, styles and personalities, truly sets her apart. A LEED certified designer, licensed real estate agent and bona fide master of Cuban cooking, Soto has the background and education to support her endeavors. An incredibly engaging and vivacious personality, Sabrina makes you feel as if she’s stepped out of the TV and right into your living room. Sabrina has been featured on THE TODAY SHOW, WENDY WILLIAMS, GOOD MORNING AMERICA, RACHAEL RAY, THE VIEW, THE CHEW, THE TALK, STEVE HARVEY and more and has appeared in publications such as Time Magazine, Elle Decor, People, Huffington Post, InStyle, Esquire, USA Today, Parade, Variety, Better Homes and Gardens, Latina and The New York Post, among others. Sabrina has enjoyed extensive exposure as host and designer of various HGTV shows such as THE HIGH LOW PROJECT, REAL ESTATE INTERVENTION and GET IT SOLD. She’s also made guest appearances on WHITE HOUSE CHRISTMAS, HGTV’s GREEN HOME, BANG FOR YOUR BUCK, HOUSE HUNTERS, SHOWDOWN, BUYING & SELLING SECRETS and HGTV’d. Most recently, Sabrina served as one of the judges of Season 8 of the hit reality competition show, DESIGN STAR on HGTV. Sabrina is also a judge on the ABC series, THE GREAT CHRISTMAS LIGHT FIGHT! As Target’s Style Expert for Home, Sabrina has established herself as a staple in the lifestyle space by offering the Target consumer a voice of direction through multiple platforms including online tutorials and television ads. Embodying her design philosophy of affordable luxury, Sabrina’s venture with Target brings high-end design sensibilities to the masses by showing how easy it can be to achieve a polished home aesthetic at a reasonable price. Soto recently released her first book — Sabrina Soto Home Design: A Layer-by-Layer Approach to Turning Your Ideas into the Home of Your Dreams — sharing her expertise with her fans so they can easily execute a project of their own. Currently living in New York City, Sabrina tirelessly juggles the demands of designing, consulting and filming. When not working on a project, she treats her friends and family to her second passion of cooking. Bio: Starting his business purely by accident 13 years ago, Todd along with his business partner Allan LaBeck have grown their business over the years from a small 900 sq ft space to a warehouse of over 30,000 sq feet in Portland, Oregon and have recently opened a second 12,000 sq ft location in Seattle, Washington in January 2016. Todd opened his business with an extensive background in visual merchandising at a major upscale department store chain where he was on a team that traveled around the country setting up locations prior to opening. His partner Allan has a 30 year plus background in the rental industry. Together they have a shared passion to provide their clients with the very best staging experience possible.